Benjamen ClancyDAOM, L.Ac., Dipl, Ac. Dr. Benjamen Clancy, DAOM, L.Ac. 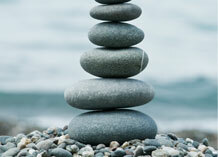 has been practicing acupuncture and Chinese medicine for over twenty years. He first became interested in alternative medicine when he was seventeen after experiencing a severe motorcycle accident. He broke both of his arms, crushed his ulnar nerve in his right arm and broke almost every bone in his face. In his right hand he lost feeling and the use of his 4th and 5th fingers. During his recovery he received acupuncture care for pain and to encourage nerve regeneration. Within six months of acupuncture care he regained full function of his hand. His second experience and the one that encouraged him to begin his Chinese medicine studies came when he was twenty five. Dr. Clancy developed irritable bowel syndrome (IBS) and began treatment with acupuncture and Chinese herbs. He experienced remarkable relief from his care and thus was inspired to begin a life long journey in the field of Chinese medicine. After high school Dr. Clancy initially began his career in healthcare as a Licensed Massage Therapist. He attended Sarasota School of Massage and was awarded a License to practice Massage Therapy. Wanting to further his education, he attended the Sarasota School of Natural Healing Arts and was awarded a Master’s in Science in Acupuncture and Oriental Medicine in 1998, and has practiced in Florida, Indiana, and Kentucky since that time. He went on to earn a BA in biology and a minor in psychology from the University of Louisville. In 2014 he chose to further his education in Acupuncture and Oriental Medicine, with a specialization in Women's Health and Chronic Disease. He attended the prestigious Oregon College of Oriental Medicine in Portland, Oregon. Achieving the Doctor of Acupuncture and Oriental Medicine degree (DAOM), graduating in 2016. Dr. Clancy has a great passion for working with people who have difficult health conditions, including fertility issues (male and female), women’s health conditions, Interstitial Cystitis (IC), Polycystic Ovary Syndrome (PCOS), Endometriosis, autoimmune, gastrointestinal, and musculoskeletal diseases. In keeping with his training, he uses many methods and tools including Traditional Chinese medicine and acupuncture, Tan balance method, Tung’s style acupuncture, Tui na, Chinese diet recommendations, mindful meditation, and Chinese herbal medication. He enjoys a thriving practice, and has worked with and helped hundreds of people over the past twenty years with a wide variety of ailments. Dr. Clancy looks forward to listening to you, and working with you as a team to tackle what is ailing you. Thank you for your interest.